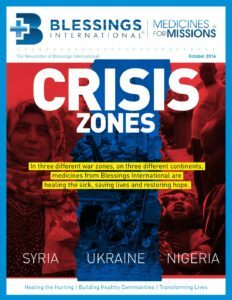 In addition to supplying pharmaceuticals and medical supplies, Blessings International aims to support traveling medical teams by making available additional resources and tools. A basic information sheet that triage, medical personnel, and pharmacy staff can use to write and record information about a patient’s condition, diagnoses, and treatment. 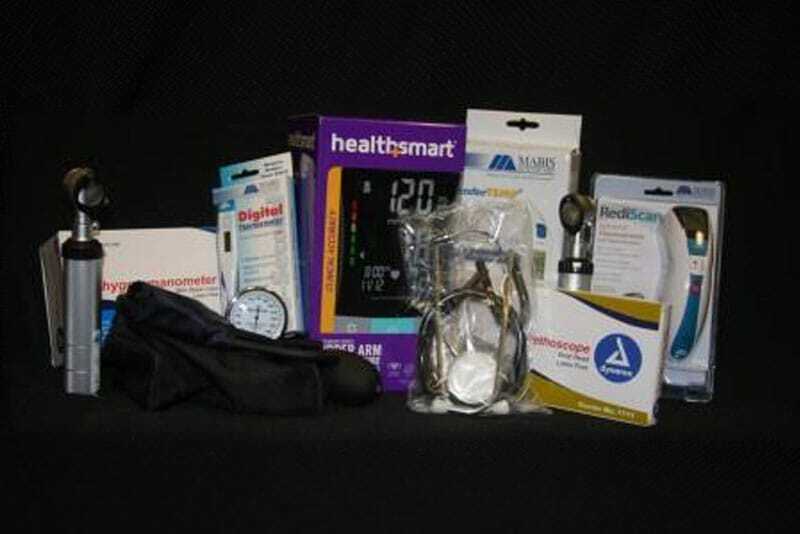 Use with patients to track their history, evaluation, and treatment. This downloadable chart may help you when considering the best Angiotensin Converting Enzyme (ACE) Inhibitor to use for the population your team will be serving. 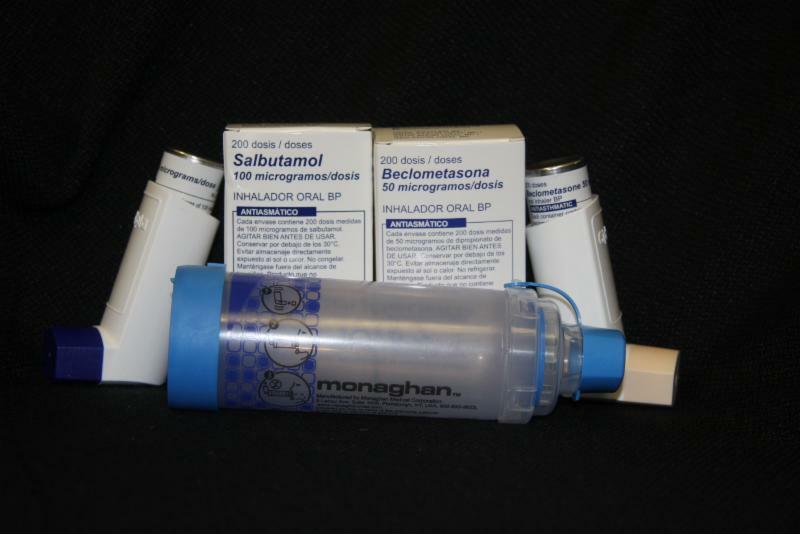 It may also be of benefit when considering how the ACE Inhibitors Blessings International are able to supply compare to the other products within this drug class. This chart may help you when considering the best Angiotensin Receptor Blocker (ARB) to use for the population your team will be serving. It may also be of benefit when considering how the ARB Blessings International is able to supply compare to the other products within this drug class. This list is only a suggestion, and you can modify it as you would like. Please note that the prices are subject to change depending on current market circumstances. 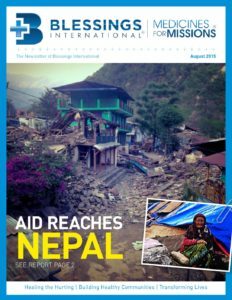 Stay up-to-date with global and local projects and outreaches that we’ve had a privilege to be a part of. 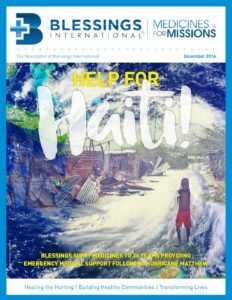 Blessings wants to help you and your team be successful on your upcoming mission trips! We have found that a number of books can give you a great deal of information to ensure that you are well prepared. To order any of the books listed here, please register, download, and complete the B.I. standard order form. 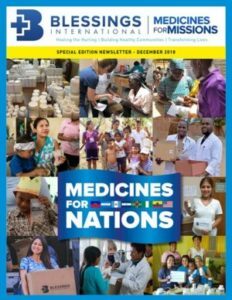 Or, if you would like to order the book without making a pharmaceutical order, you can contact our staff directly at info@blessing.org or via phone. 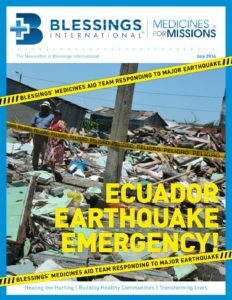 This guide was written by a medical missionary with years of experience in multiple locations around the world. 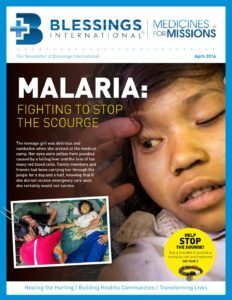 It is designed to be a practical manual for anyone involved in foreign missions. The following books can be purchased through the Amazon Smile program. 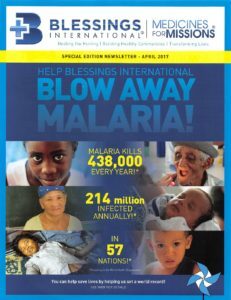 You can help support Blessings International with every purchase you make at smile.amazon.com. 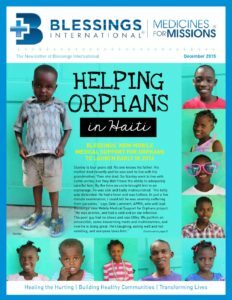 At no cost to you, Amazon will donate a percentage of your purchase price to Blessings International. 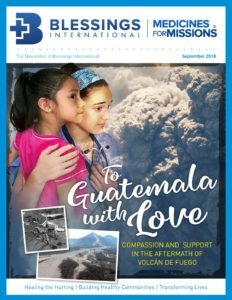 Search and select Blessings International as your preferred foundation to support. For more information about the Amazon Smile program, click here. If your team would like access to either a digital or CD recording of the gospel message in the language for the people whom you will be serving, Global Recordings Network may be a useful resource for you. Who can place an order with Blessings International? A physician (M.D. or D.O.) is needed to place an order on our general International or US order forms. A dentist (D.M.D. or D.D.S.) may place an order using our dental order form. Any other persons are able to use our vitamins and supplies order forms for either international or US use. 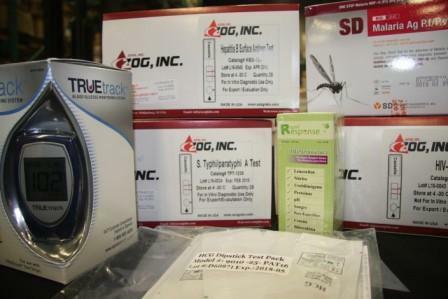 Does the Medical Provider have to be licensed in the state where the medicine is shipped? To assure appropriate control of the medicine being ordered, the medical provider signing the Pharmaceutical Trip Application must have an active license in the state to which the medicine will be shipped. Where do you get your vitamins, medicines, and supplies? We source our products both domestically and internationally. What does For Export Only and IFE mean? This means these items are to be used only outside the United States. Once taken outside the U.S., the products cannot be returned to the U.S. Please see our U.S. or international order forms for detailed costs. We accept check, money order, or Master Card, Visa, Discover, and American Express if you sign up through our Self-Service Portal. I made a prepayment; why am I getting an invoice with a balance due? The prepayment is an estimated amount and does not include freight charges, which are difficult to estimate since they are based on weight and destination. The end of the invoice shows a recap of total charges, prepayment applied, and any balance due. I only placed one order; why do I have more than one invoice? Sometimes it is necessary for us to ship the bulk of your order before all the products are available in our warehouse. If we are able to ship a subsequent order in time for you to receive it before your departure, we will create a back order which is shipped and billed separately. My destination country requires us to have certain expiration dates. How can I make sure we receive products with good expiration dates? If your destination country requires future expiration dates, fill in that date on page two of the application in the blank. We never ship expired medicines. Orders will be shipped based on product availability and trip departure date. What if I have a rush request? Please complete all require paperwork and call us to let us know about your rush needs. Contact us with your order number which is located in your order acknowledgment email that was sent to the billing contact person on your account. What is a Proforma, Certificate of Quality and Authenticity, etc? 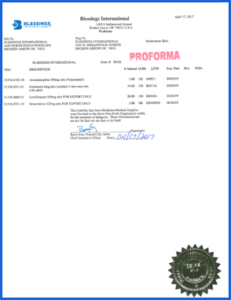 A Proforma is a signed and sealed document that lists product names, expiration dates, and lot numbers. 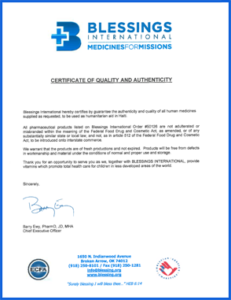 A Certificate of Quality and Authenticity states that the items are pure, safe to use, of good quality, etc. 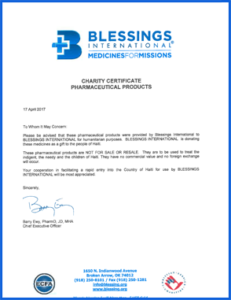 A Gift Certificate states that these medicines are for humanitarian aid and they are not to be sold for profit. A Certificate of Analysis is ordered for each “For Export Only” item ordered. 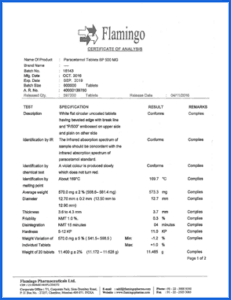 This document comes directly from the drug manufacturer and lists details of the chemical makeup of the drug. Contact us to cancel your order or to discuss the possibility of returning unopened medicines. What are the expiration dates on my products? Our expiration dates change frequently. If your destination country requires future expiration dates, fill in that date on page two of the application in the blank. We never ship expired medicines. What does 1M stand for? 1M means it is a 1,000-count bottle. Please see the key on the first page of the order form. All orders that are sent via UPS Ground or Old Dominion standard freight to an address within the US will qualify for free shipping. 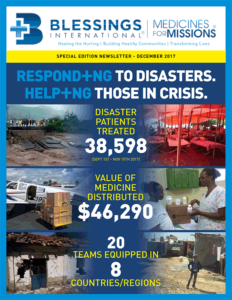 For expedited orders (UPS Next Day Air, 2nd Day Air, 3 Day Select, and Old Dominion Expedited), Blessings International will cover what would be equivalent to UPS Ground or Old Dominion standard freight. The mission team will be responsible for the expedited portion of the services. Orders shipped internationally (direct to the international location) will be eligible for free shipping for orders of $5,000 or more. 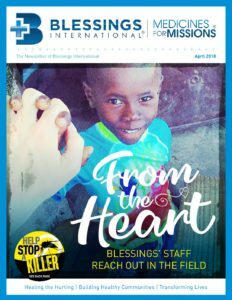 For international shipments of less than $5,000, Blessings International will cover the costs of inland shipment to the port of export with the receiving organization being responsible for the remaining costs. For all international shipments, the receiving organization will be responsible for any destination services or costs such as customs fees, duties, taxes, in-country storage and delivery, etc. What if my church does not have a formal 501(c)3 letter from the IRS? If you have questions, visit the IRS website and/or this helpful video transcript.